On this page we shared the live streaming the opening of the Air Navigation Conference and all of the Plenary discussions that will take place on the first day. We are also sharing the closing review of the draft and final reports on this page. Every presentation was shared on this platform, make sure to check out the Safety, Air Navigation and SKYTALKS pages as well! 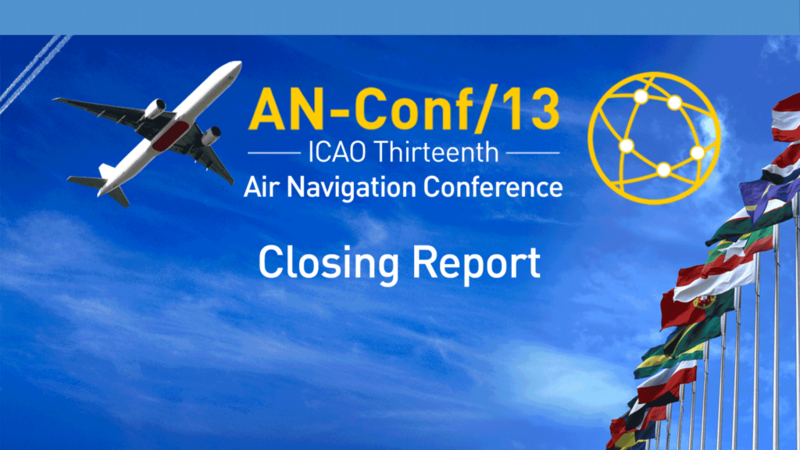 Welcome to the closing of the ten-day, 13th Air Navigation Conference that was held at ICAO Headquarters. Though we broadcast the important discussions on YouTube Live, you can follow the broadcasts on these pages page by scrolling below to the event playlists. After the broadcasts, the videos were made available for on-demand viewing on these pages: Air Navigation Committee, Safety Committee and SKYTALKS. The theme for the 2018 conference was “From Development to Implementation” which encompassed the implementation of operational improvements, such as technology, operational concepts, and roadmaps, from the conceptual phase until deployment. It emphasized the importance of concepts for global use, development of implementation plans regionally, and implementation of performance improvements locally, based on specific operational requirements in a cost-effective manner. ICAO’s 13th Air Navigation Conference provided an opportunity for Member States and aviation stakeholders to work on global strategies for safety and air navigation planning, development and implementation. It brought together the views of the global aviation community on major objectives for safety and air navigation, and set priorities for the coming years. Throughout the conference, subject matter experts participated in detailed technical discussions that are expected to lead to agreements on high-level recommendations in different key performance areas of the air navigation system. These recommendations will be submitted for approval to the ICAO Council for subsequent endorsement by the 40th Session of the Assembly in 2019. We updated the live discussions on all of the Agenda Items as they occurred. These sessions were spread out over the ten-days of the event, so you need to find the sessions you want to catch up on here: for the recorded sessions on the Air Navigation Committee’s discussions, click here. To watch the recorded sessions on the Safety Committee‘s discussions, click here. To watch our SKYTALKS presentations, click here.